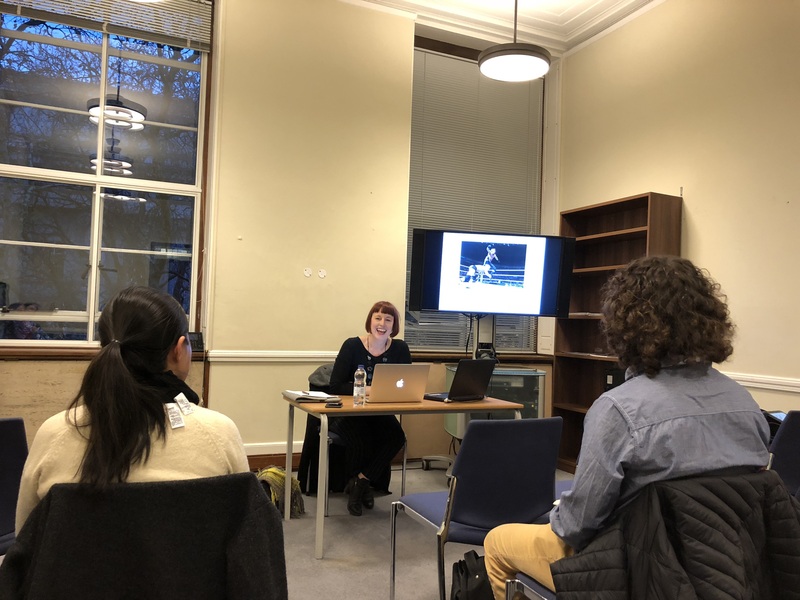 During 2017-8 the Institute of Philosophy London Aesthetics Forum (LAF) has continued to hold its regular series of seminars on topics in aesthetics and the philosophy of art. The LAF aims to provide a lively environment for those already working in aesthetics and philosophy of art, and to foster new interest. LAF events are open to all, both inside and outside the University of London. Audiences tend to be multi-disciplinary, and talks are followed by extended discussion where the philosophical topics raised by the talks are explored in depth from a variety of perspectives. As attendance at the sessions fluctuates depending on the time of year, with generally higher attendance during university term-time, we have been pleased to see that this format works well with different audience numbers, allowing small groups (e.g. of 8-10 people) to pursue detailed trains of discussion with the speaker, whilst also allowing enough time for everybody to ask substantial questions in a larger group (e.g. of 20-25). The LAF now has 673 Facebook followers and 1804 followers on Twitter, and the website received many thousands of hits in the past year. We continue to post podcasts of many of our talks on iTunes. Our podcasts enable more people to engage with the Forum, including listeners from outside the UK, and have a very substantial number of monthly downloads. One of the LAF’s aims is to benefit students who are working in aesthetics or related areas, providing opportunities for graduate researchers to engage with cutting edge work and meet other academics working in the area. Graduate students in the University of London also play a central role in organising the Forum’s activities, and in 2017-8 year this has included help on various organizational tasks, as well as participating actively in discussions. Thanks to the funding from the BSA, we’ve been able to put on a strong program of offerings, including 10 talks. SWIP: LAF aims for gender diversity in our talks. Four of our 10 speakers this year have been women. In the coming year, we have been aiming for similar gender parity, and our invitations reflect that. The LAF would like to thank the British Society of Aesthetics for their continued support.